CHICAGO (WLS) -- Lakeview residents are being warned of road closures near Wrigley Field as the Cubs continue renovation efforts on the northwest side of the property. Beginning on Sept. 8, Waveland between Seminary and Clifton will be closed until April 2016, Ald. Tom Tunney's office said in a statement. However, during this time both intersections and Waveland's north sidewalk will remain open. This means drivers on Clifton can access Clark via Waveland and that Seminary is also accessible via Waveland. 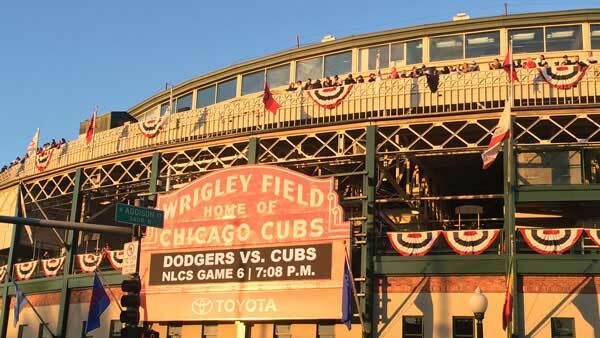 The road closures are due to a large crane being utilized for work on Wrigley Field's triangle property, officials said. Construction will also be underway to connect the field's Gold Lot with the stadium.